Venues: Gimcheon Indoor Gymnasium, Hwaseong Gymnasium, Suwon Gymnasium, Jangchung Gymnasium, Daejeon Chungmu Gymnasium, Incheon Gyeyang Gymnasium. Teams: Korea Expressway Corp. Hi-pass, IBK Industrial Bank Altos, Hyundai E&C Hillstate, GS Caltex Seoul KIXX, KGC Ginseng Corp., Heungkuk Life Pink Spiders. Teams: GS Caltex Seoul KIXX, Korea Expressway Corp. Hi-pass, KGC Ginseng Corp., Hyundai E&C Hillstate, IBK Industrial Bank Altos, Heungkuk Life Pink Spiders, EST Cola (Thailand), VietinBank (Vietnam). Edited 3 times, last by theloneracer: Added new v-league competition logo, name, end date and schedule link. ( Sep 24th 2018 ). 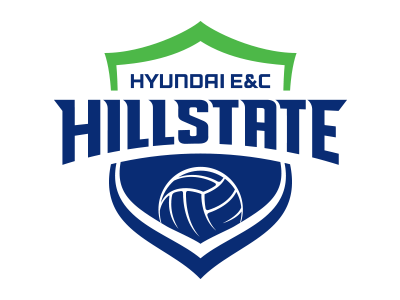 IN: PARK Hye-Mi (Hyundai E&C =>), Kim Hye-Won (KGC Ginseng =>), WOO Su-Min (KGC Ginseng =>), CHOI Min-Ji (Draft), KIM Da-Hee (Draft), SIM Min-Ji (Draft), Fatou DIOUCK. OUT: CHOI Eun-Ji (=> KGC Ginseng), BAEK Chae-Lim (=> Hyundai E&C), HA Hyo-Rim (=> KGC Ginseng), LEE So-La, KIM Ji-Min, JEONG Kyeong-Eun, Ivana NESOVIC (Released Nov. 2018). Edited 4 times, last by theloneracer: Update team roster. ( Dec 11th 2018 ). IN: HAN Ji-Hyun (Heungkuk =>), PARK Sang-Mi (KGC Ginseng =>), BAEK Mok-Hwa (KGC Ginseng =>), Adora ANAE, LEE Na-Yeon (GS Caltex =>), MOON Ji-Yun (Draft), KIM Hae-Bin (Draft), LEE Yun-Ju (Draft). OUT: KIM Mi-Youn (=> Heungkuk), LEE Go-Eun (=> GS Caltex), NOH Ran (=> KGC Ginseng), Madison KINGDON/RISHEL, YOO Mi-Ra, KIM Hye-Sun, LEE Han-Sol. Edited 3 times, last by theloneracer: Update team roster with rookies and players URL links, highlight NT members and foreign player. ( Oct 22nd 2018 ). IN: JEONG Si-Young (Heungkuk =>), BAEK Chae-Lim (KEC Hi-pass =>), JEONG Da-Woun (GS Caltex =>), Rebecca "Becky" PERRY, JEONG Ji-Yun (Draft), SIM Mi-Og (Draft), LEE Mi-So (Draft), Milagros "Maya" COLLAR. OUT: HAN Yoo-Mi (Retired), KIM Se-Young (=> Heungkuk), PARK Hye-Mi (=> KEC Hi-pass), JUNG Da-Eun, PARK Kyung-Hyun, Sona MIKYSKOVA, Rebecca "Becky" PERRY (Released Nov. 2018). Edited 6 times, last by theloneracer: Updated team roster. ( Dec 11th 2018 ). IN: LEE Go-Eun (IBK Altos =>), Aliona MARTINIUC, PARK Hye-Min (Draft), HAN Song-Hee (Draft), LEE Ji-Woo (Draft). OUT: LEE Na-Yeon (=> IBK Altos), JEONG Da-Woun (=> Hyundai E&C), KIM Jin-Hee, KIM Hyun-Ji, Fatou DIOUCK, KIM Hwa-Won. Edited once, last by theloneracer ( Oct 23rd 2018 ). 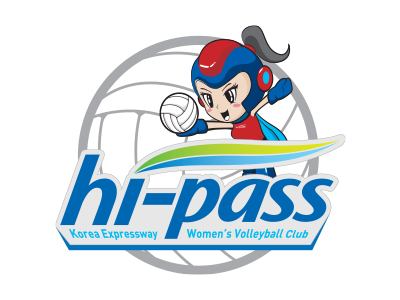 IN: CHOI Eun-Ji (KEC Hi-pass =>), NOH Ran (IBK Altos =>), HA Hyo-Rim (KEC Hi-pass =>), PARK Eun-Jin (Draft), NA Hyun-Soo (Draft), LEE Ye-Sol (Draft), KO Ui-Jeong (Draft). OUT: PARK Sang-Mi (=> IBK Altos), BAEK Mok-Hwa* (=> IBK Altos), KIM Hye-Won (=> KEC Hi-pass), WOO Su-Min (=> KEC Hi-pass), SI Eun-Mi, LEE Yeon-Ju, JANG Young-Eun, HAN Ju-Eun. * Did not play in the previous two seasons due to failed FA contract negotiation with KGC Ginseng Corp. at the end of the 2015/2016 season. Edited 2 times, last by theloneracer ( Oct 24th 2018 ). IN: KIM Se-Young (Hyundai E&C =>), KIM Mi-Youn (IBK Altos =>), Berenika TOMSIA, LEE Ju-Ah (Draft), PARK Eun-Seo (Draft), NAM Eun-Bin (Draft). 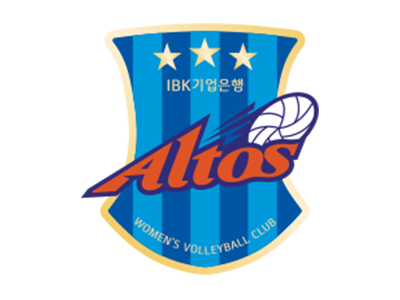 OUT: HAN Ji-Hyun (=> IBK Altos), JEONG Si-Young (=> Hyundai E&C), NAM Jie-Youn (Retired), LIM Hae-Jung, HWANG Hyun-Jung, LEE Ho-Bin, LEE Kyung-Min, BYEON Chae-Lim, Kristina MIKHAILENKO. Edited once, last by theloneracer ( Oct 24th 2018 ). 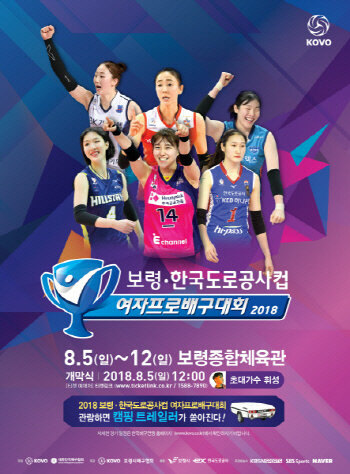 KOVO Cup 2018 will be returning early this year, starting on August 5th - 12th and the location has also moved to Boryeong General Gymnasium. Boryeong is located approx 200Km south of Seoul and it is the home to Korea famous mud festival, held annually since 1998. For the first time KOVO Cup for the women and the men have been seperated (men's KOVO Cup to be held some time in September). Some of the foreign players have just arrived in South Korea but unlike the previous two years, there will be no foreign players in KOVO Cup 2018. The reason given in various articles was because the Korean teams are unable to obtain International Transfer Certificates (ITCs) during this period. 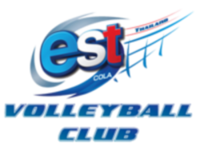 Aliona Martiniuc (GS Caltex) and Adora Anae (IBK Altos) have arrived yesterday, Ivana Nesovic (KEC Hi-pass) was also reported to comeback yesterday too but I haven't seen any photos/videos of her return; Berenika Tomsia (Heungkuk) will arrive on August 4th and Alaina Bergsma (KGC Ginseng) is scheduled to return on August 7th. Lastly, Becky Perry (Hyundai E&C) will arrive later than the other on August 20th as she was representing Italy in a beach volleyball tournament in June. Also Korean players in the National Team will not take play in the tournament due to the Asian Game. Two international teams will take part in this year edition, EST (from Thailand) and Vietinbank (from Vietnam). Unlike the Vietinbank team which is an actual team in the Vietnamese league, EST will be comprised of players of Thai players who are not part of the current Thai National Team that is preparing for the Asian Game. So basically EST is like a Thai NT B team. Sorry, I currently don't have a confirm list of EST and Vietinbank players for KOVO Cup (I do have a list for Vietinbank but I'm not sure if it up to date). Also, KOVO will test a new video challenge system during the tournament. The new system will be use during the upcoming season. 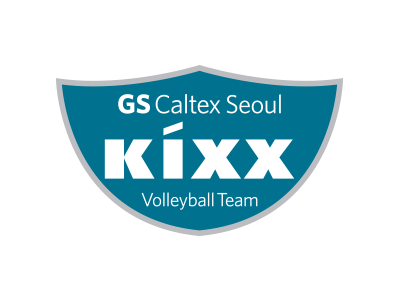 13:00 A GS Caltex Seoul KIXX vs. KGC Ginseng Corp. Both KBSN Sports and SBS Sports will broadcast the matches live and also replays the matches each night (approx. morning time for the US East Coast) and just a reminder that airing time may change so check the TV scheduling (links provided below). And sorry, but I can't guarantee if the stream links below will work at all on the day. If anyone else know of other working site(s), please let me know . NB: Not entirely sure if the position provided above for the younger players (i.e. #4, 6, 7, and 11) are correct. Total Points: 106, Score Points: 80, Attacks: 72 (from 194 at 37.11%), Ace: 2, Block: 6, Dig: 120, Reception: 39.05% =(45E - 4F)/105, Error: 22 (* incl. 1 rotation error). Total Points: 109, Score Points: 87, Attacks: 74 (from 191 at 38.74%), Aces: 4, Blocks: 9, Dig: 106, Reception: 59.79% =(60E - 2F)/97, Error: 26. Unused Subs: 15. Lee Seon-Jeong [MB], 18. Lee Sol-Ah [S]. Wow, first game and last year Champion have suffered a defeat in the opening match of the competition. GS Caltex (GS) are already missing last year MVP Kang So-Hwi and their starting libero Na Hyun-Jung due to NT duties but it look like MB Moon Myung-Hwa is also unavailable due to some kind of injury. Thin in options in the OH/OPs department, GS coach decided to experiment by having setter An Hye-Jin play in the OP position in Set 1 but it didn't turn out too well. After sitting out for most of last season due to injury, it seem like OH Lee So-Young has regained her form back by scoring a game high of 30 points. Her 30 points consist of 28 spike kills (at 41.18% success rate) along with 1 ace and 1 block. Rookie OH Park Min-Ji finally got her chance to play in her first pro match and did an excellent job to support So-Young in attack by racking up 15 spike kills to be joint second top scorer in her team along with MB Kim Yu-Ri. KGC looks much better attacking wise than last season. Let hope they can provide some more assistance to Alaina Bergsma this time around. New recruit OH Choi Eun-Ji did well in reception while leading the attack for KGC. Lee Song-Yi did well in the OP position, maybe it helped that she didn't have to receive. I'm curious to see which players KGC coach will decide to play in the two OH positions alongside Alaina when she come back or will they try what Korea Expressway Corp. did last season where they had a two players receiver line. Also, KGC new setter Ha Hyo-Rim who recently transferred over to KGC did a solid job to helped her team mount the comeback in the final two sets. Edited 2 times, last by theloneracer: Minor changes to Match stats layout and edit players URL link. ( Aug 9th 2018 ). Total Points: 75, Score Points: 55, Attacks: 40 (from 112 at 35.71%), Ace: 10, Block: 5, Dig: 78, Reception: 29.09% =(22E - 6F)/55, Error: 11. Unused Subs: 16. Choi Yoon-Yi [OH]. Total Points: 60, Score Points: 49, Attacks: 38 (from 122 at 31.15%), Ace: 6, Block: 5, Dig: 73, Reception: 29.41% =(30E - 10F)/68, Error: 20. Unused Subs: 16. Natthida Krongchuen [MB], 18. Oanchisa Lonok [MB/OP]. Total Points: 59, Score Points: 46, Attacks: 39 (from 120 at 32.50%), Ace: 5, Block: 2, Dig: 65, Reception: 33.33% =(25E - 3F)/66, Error: 21 (* incl. 1 rotation error). Unused Subs:12. MOON Jung-Won [OP]. Total Points: 75, Score Points: 54, Attacks: 42 (from 102 at 41.18%), Ace: 3, Block: 9, Dig: 64, Reception: 32.73% =(23E - 5F)/55, Error: 13. Beside missing Park Jeong-Ah, Lee Hyo-Hee, and Yim Myung-Ok due to the NT, it appears that Expressway Hi-pass are missing a few more players as they could only field nine player in their roster. Rookie setter Lee Won-Jeong is out due to a left arm injury and MB Bae Yoo-Na is still sidelined due to surgery at the end of last season. I was expecting to see Won-Jeong play as the starting setter because the team see her as the future replacement for Hyo-Hee. Hyundai E&C did better than I thought they would do. Veteran OP Hwang Youn-Joo led the way with 17 points (15 spike kills at 44.12 success rate, and 2 block kills). Rookie Kim Ju-Hyang who played mostly play as MB and OP during her high school years is slowly adapting to the OH position (she got ripped to shreds by the opponents during the VNL this year) as did reasonable well with regards to receptions (no error) and attacks in this match. 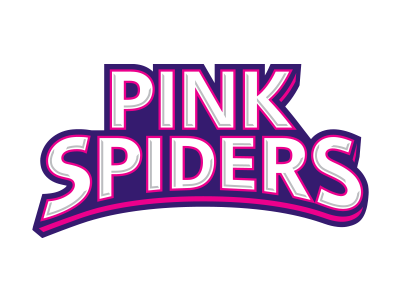 MB Jeong Si-Young, whom Hyundai received from Heungkuk Pink Spiders for losing veteran MB Kim Se-Young was very impressive in attack in this match with 7 spike kills from 10 attempts. Edited 3 times, last by theloneracer: Correction of player name from Kim Yeong-Yeon to Kim Yeon-Gyeon ( Nov 7th 2018 ). Total Points: 75, Score Points: 60, Attacks: 36 (from 81 at 44.44%), Ace: 21, Block: 3, Dig: 59, Reception: 65.52% =(19E - 0F)/29, Error: 11. Total Points: 34, Score Points: 23, Attacks: 20 (from 80 at 25.00%), Ace: 0, Block: 3, Dig: 43, Reception: 0.00% =(19E - 21F)/67, Error: 15 (* incl. 1 rotation error). Unused Subs: 4. Bùi Thị Khánh Huyền [OH], 8. Trần Thị Phương [S], 11. Vũ Thị Quỳnh [OH]. The easiest way to describe this match is that Heungkuk simply and utterly destroyed VietinBank receptions (non-existent) with a total of 21 aces. Heungkuk OHs Kim Mi-Youn and Shin Yeon-Gyeong dishes out the bulk of the damage with a combined total of 15 aces between the pair. Meanwhile on the other side of the court, the main offender was the Vietnamese libero 19. Nguyễn Thị Ninh Anh who had 10 reception failures. Edited once, last by theloneracer: Minor changes to Match stats layout. Added a new video link. ( Aug 9th 2018 ). Total Points: 103, Score Points: 83, Attacks: 59 (from 195 at 30.26%), Ace: 3, Block: 21, Dig: 122, Reception: 34.07% =(38E - 7F)/91, Error: 25 (* incl. 1 rotation error). Unused Sub: 15. Lee Seon-Jeong [MB]. Total Points: 99, Score Points: 74, Attacks: 64 (from 195 at 32.82%), Ace: 7, Block: 3, Dig: 123, Reception: 33.33% =(34E - 3F)/93, Error: 20. Edited once, last by theloneracer: Minor changes to Match stats layout and edit players URL link. ( Aug 10th 2018 ). Total Points: 53, Score Points: 41, Attacks: 36 (from 101 at 35.64%), Ace: 1, Block: 4, Dig: 52, Reception: 42.65% =(32E - 3F)/68, Error: 19. Unused Sub: 3. Sirima Manakij [S], 16. Natthida Krongchuen [MB], 18. Oanchisa Lonok [MB/OP], 22. Hathairat Jarat [MB]. Total Points: 75, Score Points: 56, Attacks: 46 (from 106 at 43.40%), Ace: 3, Block: 7, Dig: 67, Reception: 34.69% =(18E - 1F)/49, Error: 12. Unused Sub: 13. Lee Young [MB]. Total Points: 51, Score Points: 37, Attacks: 32 (from 129 at 24.81%), Ace: 4, Block: 1, Dig: 79, Reception: 53.03% =(37E - 2F)/66, Error: 23. Unused Sub: 12. Byeon Myeong-Jin [OP]. Total Points: 75, Score Points: 52, Attacks: 43 (from 118 at 36.44%), Ace: 2, Block: 7, Dig: 87, Reception: 45.83% =(26E - 4F)/48, Error: 14 (* incl. 1 rotation error). Edited once, last by theloneracer: Correction to player name from Kim Yeong-Yeon to Kim Yeon-Gyeon ( Nov 7th 2018 ). Total Points: 54, Score Points: 36, Attacks: 32 (from 101 at 31.68%), Ace: 1, Block: 3, Dig: 55, Reception: 25.37% =(24E - 7F)/67), Error: 16. Unused Sub: 4. Bùi Thị Khánh Huyền [OH], 6. Trần Thị Loan [OH], 11. Vũ Thị Quỳnh [OH], 12. Võ Thị Lê [Li]. Total Points: 75, Score Points: 59, Attacks: 44 (from 110 at 40.00%), Ace: 7, Block: 8, Dig: 72, Reception: 51.11% =(24E - 1F)/45, Error: 18 (* incl. 1 rotation error). Unused Sub: 12. Moon Jung-Won [OP]. Total Points: 99, Score Points: 79, Attacks: 63 (from 177 at 35.59%), Ace: 4, Block: 12, Dig: 116, Reception: 39.76% =(37E - 4F)/83, Error: 22. Total Points: 84, Score Points: 62, Attacks: 48 (from 174 at 27.59%), Ace: 4, Block: 10, Dig: 105, Reception: 33.70% =(35E - 4F)/92, Error: 20. GS Caltex qualified for the semi-final with this win. Edited once, last by theloneracer: Amend heading. ( Aug 10th 2018 ). Total Points: 91, Score Points: 64, Attacks: 49 (from 141 at 34.75%), Aces: 7, Blocks: 8, Dig: 76, Reception: 31.51% =(31E - 8F)/73, Error: 27. Total Points: 86, Score Points: 59, Attacks: 40 (from 110 at 36.36%), Ace: 8, Block: 11, Dig: 59, Reception: 32.88% =(31E - 7F)/73, Error: 27 (* incl. 1 rotation error). 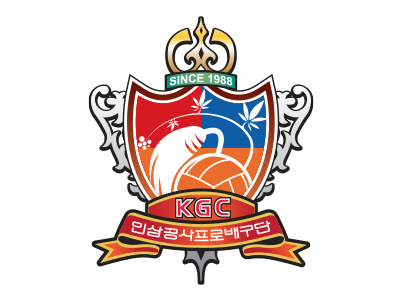 KGC Ginseng came 1st in Group A and qualified for semi-final with 3 wins. GS Caltex came 2nd in the group whilst IBK Altos and EST Cola have both been knock out.